Welcome rolandp, glad to have you among the dedicated graphene witnesses! You have my vote (thru xeroc proxy) already. Anxious to see your contribution to the security of the network. Your hardware "portfolio" is excellent, top notch. Hopefully you can help us establish some witness standards to strengthen the security and robustness of BitShares. Your expertise is welcomed and needed. I would love to see a Blockfolio style app or site dedicated to Bitshares ecosystem. [member=31]fav[/member], i noticed that Blockfolio has the following pairs from Bitshares: BTS / BTC, BTS / CNY, PTS/BTC. You want them to have the Dex added as one of the exchanges to make them watch for? 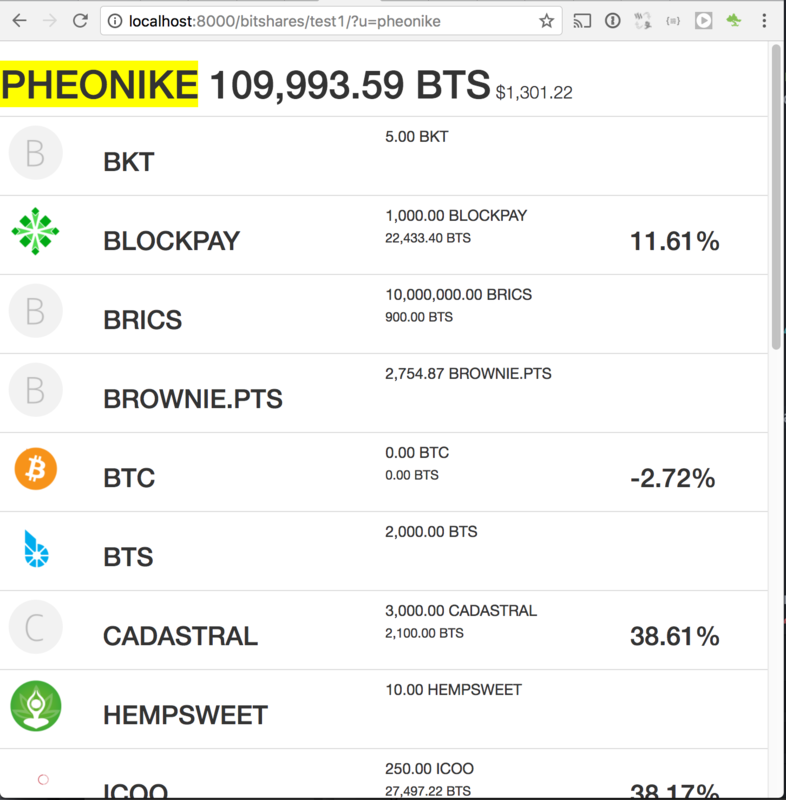 [member=12185]Pheonike[/member] would this be an app were you can glance your bitshares portfolio iaw your account_balances? Sounds like a fun app / site to make. I can see when I can put some time in this. It is totally possible with the cli_wallet / websocket. Bunkerchainlabs-com proxy is supporting this witness. Yeah, Just be able to track account balances. Just add the account name and track profit/loss. Updated [member=12185]Pheonike[/member] ! Let me know if this is what you are looking for? Do you need additional data? now there are only 19 witnesses, if roelandp is voted in, another will be voted out. how about to increase the number of witnesses to let more effective witnesses in? [member=120]xeroc[/member] is it possible for you to vote more witnesses? Curious, WHY are there only 19 witnesses, did the committee vote to change that from 21 to 19? From 24 to 21 to 19. Who or what is driving these changes? We do have 2 new witnesses (rolandp and sahkan) who I believe will be great additions. I am curious tho on the drop to 19. The number of witness slots is the weighted average of the number of witnesses voted for by a given voter (proxy). Proxies voting for fewer witnesses will reduce the witness slots, which is what recently happened, resulting in two slots being eliminated. The number of witness slots is always an odd number and may not be less than 11. The committee has no impact on witness slots. Thanks for that fox, I had no idea. Somewhere along the way I got it in my head it was just another committee parameter. So if I understood you correctly the count is directly related to how many witnesses each vote proxy votes for. What do you mean by "weighted" average? And how do votes from individual accounts factor in? In essence reduction of the number of witnesses gives the remaining witnesses more opportunities to produce a block and hence pay increases. This is totally in the hands of the shareholders. If the majority votes for 50 witnesses, then 50 witnesses will be used. If the shareholders only vote for 20, so be it. The minimum possible witness count is 11. Glad to see the witness team injected fresh blood. 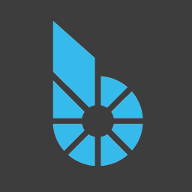 In-depth study of BitShares 2.0, I believe you will fall in love with her, to play your talent, to expand the ecosystem of BitShares. I'm a proxy, you have my vote! Voting status will be updated in 16:00 ( UTC+8 ). EPIC thx Yao! fyi, i was already supporting Bitshares with a public seednode for about half a year, but now wanted to be more serious. Thanks for your vote! I noticed that, thx for your job. Would you be willing to make this open source? thank you! but https://cryptofresh.com ? Would it be possible to indicate historical reliability of price feeds? Perhaps the avg variance and the avg time between price feed updates over x days? I could also start calculating variance difference for every publication. However variance is a subjective thing: A witness can post a high variance pricefeed because the markets are suddenly moving into a new direction and others have not yet responded with new price feeds, so the median is still reflecting the 'old' market and will gradually change when new pricefeeds come available. Average variance over a rolling time will therefore be all in the same range I think. Thanks for your feedback [member=42582]Customminer[/member] and please take a minute to check out the recent GUI changes of the tool. [member=11456]svk[/member] created a witness explorer in BitShares 0.X and it included feed frequency as one of the important metrics. I bet all feeds are produced on a cron schedule or some regular timer so frequency is an important metric for feeds, especially in volatile markets. You are doing a marvelous job BTW, refining your tool, interacting with users to gain important feedback etc. Great customer interaction! Organising SteemFest again. This year it will be in Lisbon, 1/2/3/4/5 November. Many BTS'ers are coming! And now... Adding a Blockchain Hackathon in the mix! SteemFest was great again and with help of the worker we could organise the hackathon as well! Thanks, community, for voting in the worker. Please see https://bitsharestalk.org/index.php/topic,24937.0.html for the full report. Just before HF 18 [member=4465]alt[/member] has unfortunately decided to stop btsbots.com and therefore urged witnesses to stop using the btsprice-tool as it used an api for a formatted version of the dex' orderbooks he ran off the btsbots.com domain/node. Personally I was very disappointed as I am a huge fan of the precision and durability (and lightweightness) of his script/tool. Therefore I setup a stack of JSON API-endpoints (basically static 5 min cached files) mimicking the expected results of the orderbook api which [member=4465]alt[/member] used to have available on BtsBots.com. Rest assured I hope Alt will some day return to Bitshares! [member=43607]roelandp[/member] : Could you please begin publishing price feeds for the 'Hertz' asset? I would massively appreciate your support. Hertz (Hz) is a Algorithm Based Asset (ABA) which is pegged against the USD and modified to oscillate using a sine wave, thus we are able to create potential phases of buying and selling pressure. Amplitude: 14% (NOT 33% nor 50% - It was changed to 14% for the first HERTZ asset). Daily price feed change: 2% per day. Hey [member=42582]Customminer[/member] great, sounds interesting, would love to learn a bit more about your thoughts behind the oscillation. Do you have some more info on the (fixed) formula and where can I learn a bit more about the Hertz asset? ... what day would be 0% etc. etc. * hertz_calculator.xlsx : A spreadsheet for evaluating the effect of different sine wave variables (amplitude, period, etc). * hertz-verification.py : Used for verifying that the phase offset lines up appropriately. * hertz-feed.py : What you'd use if you don't use wackou or xeroc's price feed scripts. So The idea is that with 14% amplitude, and a period of 28 days the value changes 2% every day. We use a phase offset (date/time) to make Wednesday (mid working week) the most important day for Hertz. On Wednesdays, Hertz price feed should be: $1.00 (start), $1.14 (first week passed), $1.00 (2nd week passed), $0.86 (3rd week), $1.00 (final week -> repeat). Check out the spreadsheet calculator to see the value through the month. Regarding oscillation, I believe that we could create phases of buying and sell pressure (through debt destruction as the price feed decreases & price appreciation as it increases), whether this will be realized and become popular is unknown. To make the first Hertz token stable, I significantly reduced the planned amplitude from 50% to 14%. A high amplitude would require high frequency price feed publishing, by decreasing the amplitude I was able to increase the maximum pricefeed lifetime from 220 to 1440 (more acceptable for publishers, hopefully). Ideally, if this succeeds, we'll see similar algorithm based assets issued which oscillate using different wave equations (cos instead of sin) as well as different hertz parameters (within reason) and backing asset. The reason I created the spreadsheet calculator was for not just my own research but to spread the idea so that others may consider making similar ABAs. It'd be interesting to create an opposite hertz token with the same parameters except a 2 week phase offset to produce the exact opposite price feed modification/oscillation. Do you have any specific questions about Hertz? cool, for now I'll join the experiment! Now to get another 6 witnesses onboard & Hertz will be live! [member=43607]roelandp[/member]: What price feed script are you using? You're quite far out from the intended price feed value. if we need to go back & forth quicklier, please hook me up on telegram. you can guess my username. Wow, time flies! Almost a year since my original witness announcement. Several individual pricefeed scripts for smart coins - see my github. Organised a hackathon for bitshares during Steemfest last year in Lisbon. Was actively participating in relaunching the blockchain during last july's crash. Thank you for your enduring trust and let's make it another great year for the Dex! Re: [Witness Proposal] roelandp - Inviting you to BitFest Farewell Pancakes! Hey hey as you all probably know bitshares.foundation is organising the first BitFest Conference from Fri, 21 Sep 2018, 12:00 – Sun, 23 Sep 2018, in Amsterdam, my hometown. Looking forward to meeting many of you there... Don't have a ticket yet? Check out https://bitfest.in for details and the shoppe! Seeing so many BTS'sers flocking to Amsterdam's capital I can't resist to add my share to the program by bringing signature dutch pancakes (family recipe, my brother has a pancake restaurant), on the personally sponsored 'BitFest Farewell Pancakes' event in the Volkshotel on the Sunday 23 September from 10AM - 1PM (aboutish). Before heading back to home, I invite you for a last moment of togetherness. Close off Bitfest with some breakfast pancakes and a coffee or other drink, courtesy of urs witness. Next to running a reliable block producer, pricefeeds, seed node and rpc node, some add-on apps / scripts for the community I feel every witness should bake pancakes. Participation: free for Bitfest Attendees, bring your badge so waiters are not in doubt. 1. get the bitCNY deposit/withdraw fee from magicwallet and then calculate out the bitCNY premium. Hey RoelandP, It was great meeting you in person briefly at the Bitfest event. Would you be interested in publishing price feeds for 3 new Algorithm Based Assets on the BTS DEX? They're called Verthandi, Skuld and Urthr. New parallel price feed script: https://github.com/BTS-CM/Norns/blob/master/parallel_feed.py (change the wss server & min price feed value difference at your discretion).